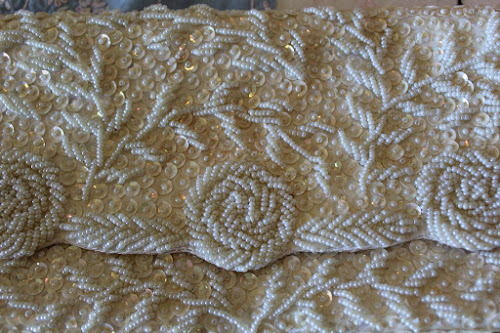 My Home and Garden: My favourite store in Hilo did not disappoint. My favourite store in Hilo did not disappoint. I really lucked out in Hilo today. I found two beautiful Pyrex pieces. 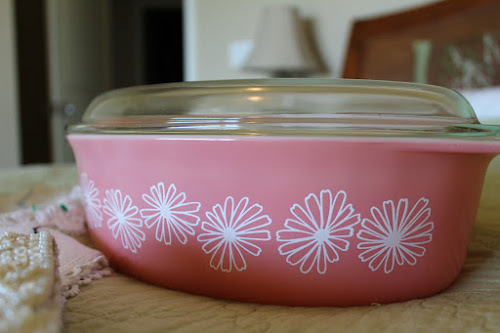 One was this amazing large pink casserole and I found another Snowflake casserole dish. I let my sister have the Snowflake dish because she really wanted one since she saw mine. I found that lovely Royal Albert Brigadoon creamer as well as embroideries and crochet. 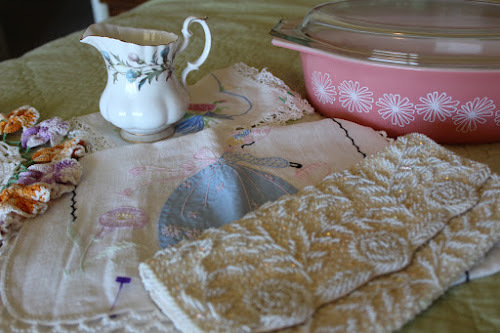 That crochet doily looks like my grandmother's.